We received the 4H yearlings and they are SO adorable! See their picture below… Follow us on facebook to keep up with their progress! Fun things are happening this month! 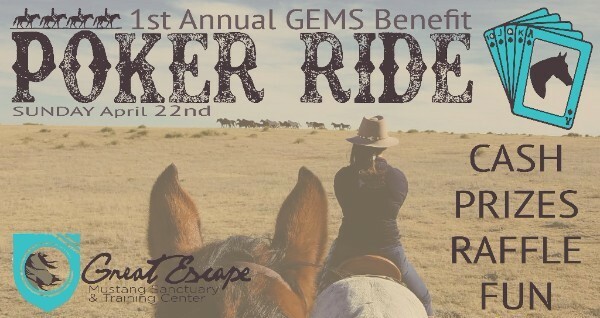 The most exciting thing happening is our 1st Annual Poker Ride Benefit at the ranch. Bring your horse and your friends and enjoy a trail ride out on our gorgeous sanctuary pasture with our wild herd. Ride at your own pace. Cash & prizes will be awarded for whoever has the best hand! We look forward to having you all out in Deer Trail. If you are traveling from a far distance please feel free to contact programs@greatescapesanctuary.org for overnight accommodation options for you and your horse. Have you heard about our Horsemanship Clinic Series? The first clinic of the summer is May 19th & 20th! Sign ups are happening currently! Clinics are such a rewarding way to get you and your horse on that next level of communication and Stephanie, our Trainer, has an amazing way with bridging the communication. Come join us! Also! 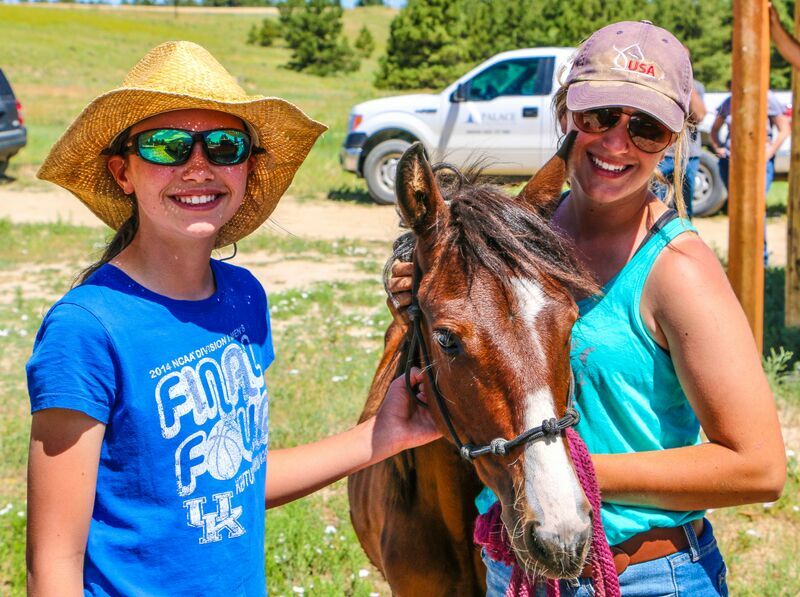 We are still accepting applications for our GEMS Mustang Training & Guest Ranch Hospitality Internship this summer, so send anyone interested our way! 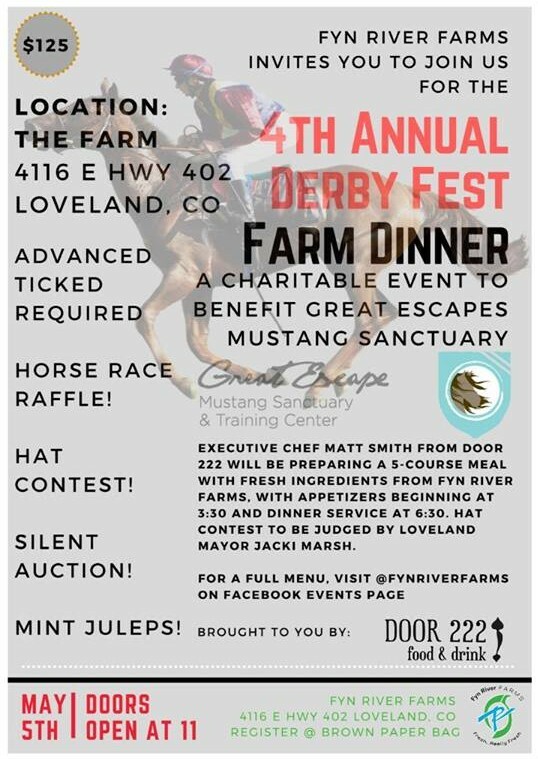 A five course gourmet meal prepared by Executive Chef Matt Smith from Door 222 This is a charitable event to benefit Great Escapes Mustang Sanctuary. Come share in some Kentucky Derby fun and tradition and some fresh local flavor with a meal prepared with Fyn River Farm ingredients. TIME TO HELP US PLAN FOR THE DAY! 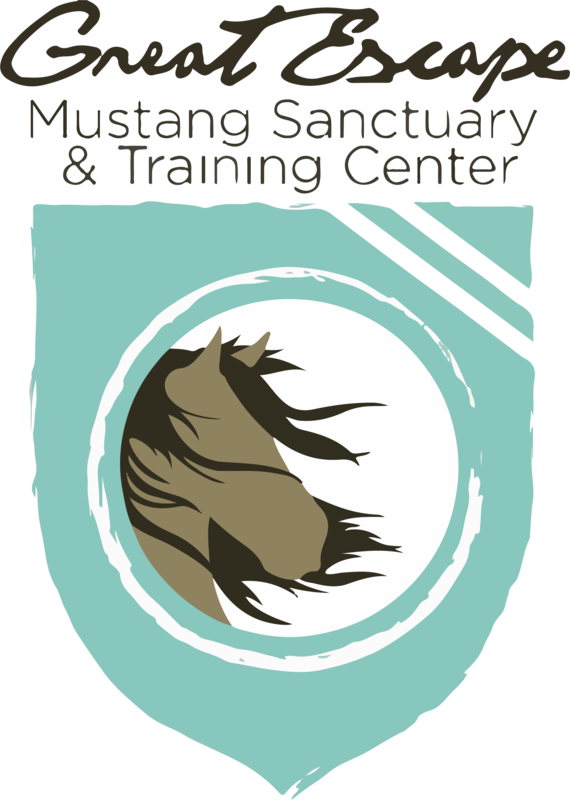 Join us for a unique Poker Ride experience as you ride our private ranch amongst our Sanctuary herd of Mustangs! The ride will follow a route through our Sanctuary land where you can encounter the magic of the wildlife, varying terrain, a wild herd of horses, and our 5-acre challenge course. Along the route, you’ll encounter 7 checkpoints. At each checkpoint, you’ll get to learn about Mustangs in America as you answer a trivia question about mustangs to earn your card. By the end of the ride, you’ll have 7 cards and the rider with the best poker hands win! Ride at your own pace – this is not a race! There will be outriders along the course to assist folks if needed. -$25 for each additional hand. -$5 for each additional raffle ticket. Please bring cash or check the day of! Please contact Brittany atprograms@greatescapesanctuary.org, if you have any questions or you’d like to come the day before and stay in one of our cabins or camp on our land! 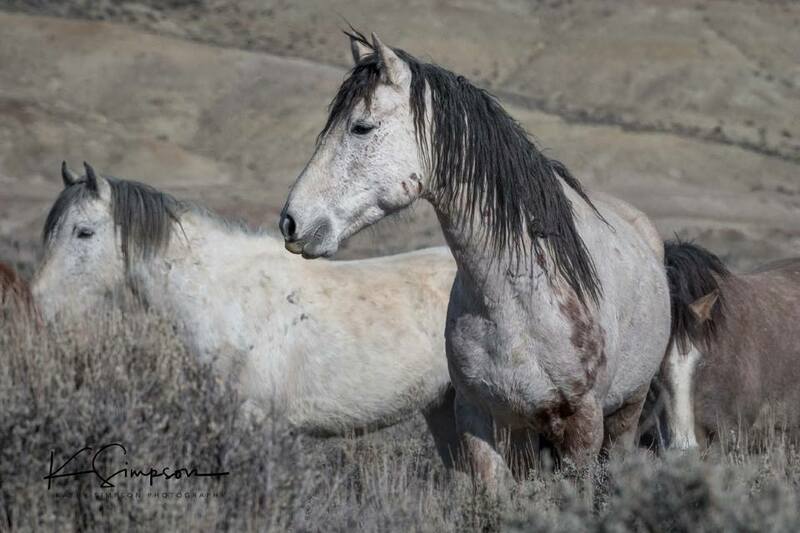 Buffy was rounded up last year from Salt Wells, Wyoming. She is under a year old, cute as can be, and ready for training and love. She is currently offered without any training, though she has been socialized and evaluated and is curious and interested in humans. 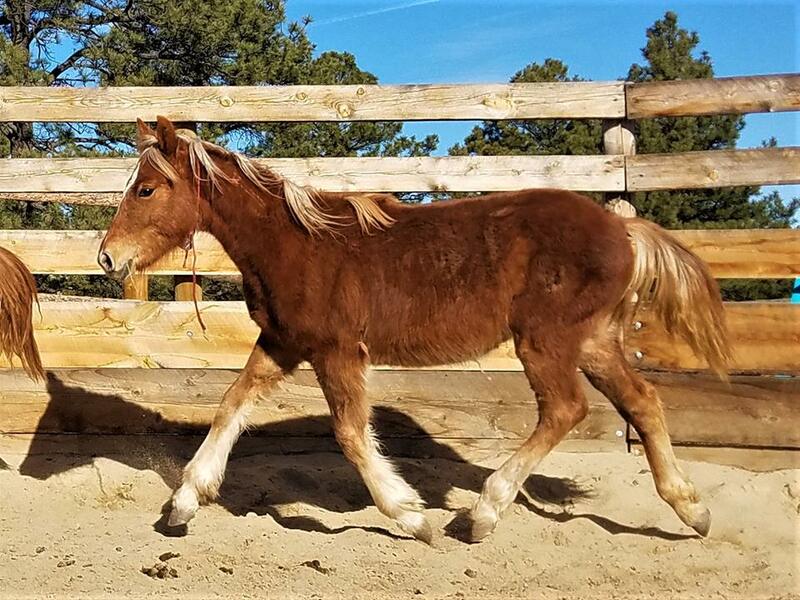 Babies are easy to train because they do not have any prior expectations of what life should be like, so if you are looking for a project horse a baby mustang is definitely the way to go! A powerful Chief over a war tribe went riding along in the desert on his favorite horse, a milk-white mare of breathtaking beauty. To be the favorite of such a man, she was wonderful indeed and apart from her beauty, must have proved herself in battle as a worthy mount for her warrior master. The Chief and his mare travelled far into the desert and there, by bad luck, encountered a small party led by a rival chieftain. A battle to the death was inevitable and the scorched silence was broken by the clashing of two razor-sharp blades as the fierce opponents turned their horses and struck. On and on the battle raged, for they were evenly matched…fearless fighters and superb horsemen both. Each blade found several marks and each man was wounded. Finally the Chief on the milk-white mare drove through his opponent’s guard and his tomahawk struck his adversary’s throat. Silently, his followers wrapped their master’s body in his buffalo hide, draped it across his stallion’s back and rode away, leaving the victor swaying on the mare, bleeding from two terrible wounds. His left chest and shoulder were sliced to the bone and there was another cruel gash on the right side of his back, just above the waist. From both wounds welled dark red blood which flowed down the mare’s silky shoulder and flank and dripped on to the sand. The Chief felt darkness rushing in as he swayed on her back. The little mare began to walk home, slowly and carefully. For a day and a night she continued, picking her way delicately so as not to disturb the precarious balance of her beloved master who slumped over her neck, his life blood draining down and away, soaking into the desert sand. The mare brought him back to camp but his wounds had been mortal and when his tribe lifted him down, he was dead. 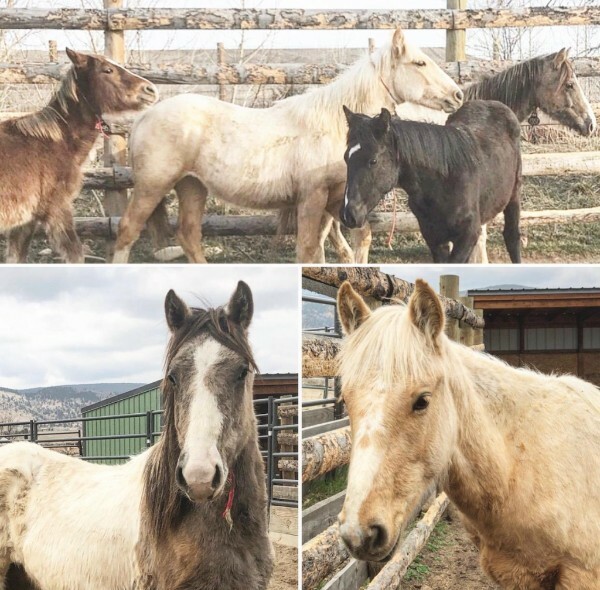 That night, in the quiet desert a little way from the grieving camp, the mare foaled and the next morning, the tribe was awestruck to find she had given birth to a colt with burnt red markings that exactly matched the way his dam’s shoulder had been stained by her dying master’s blood. Have you been able to spend the night in one of our off-grid eco cabins?! 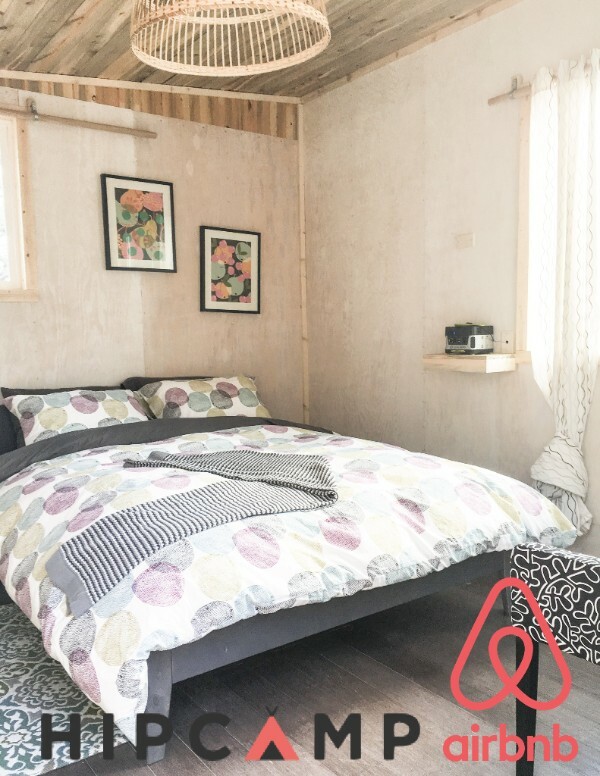 We are now hosts on Hipcamp & airBnB! Come stay with us this summer and spend some time with the wild ones! Enjoy Marika’s inspirational story and powerful photographs of her visit with the wild ones last Spring!